Today we met with James Griffin MP Member for Manly to discuss a NSW statewide ban on plastic bags. He agreed to meet with the Minister of the Environment, Gabrielle Upton to discuss this matter and noted the groundswell of support in Northern Beaches Council area. 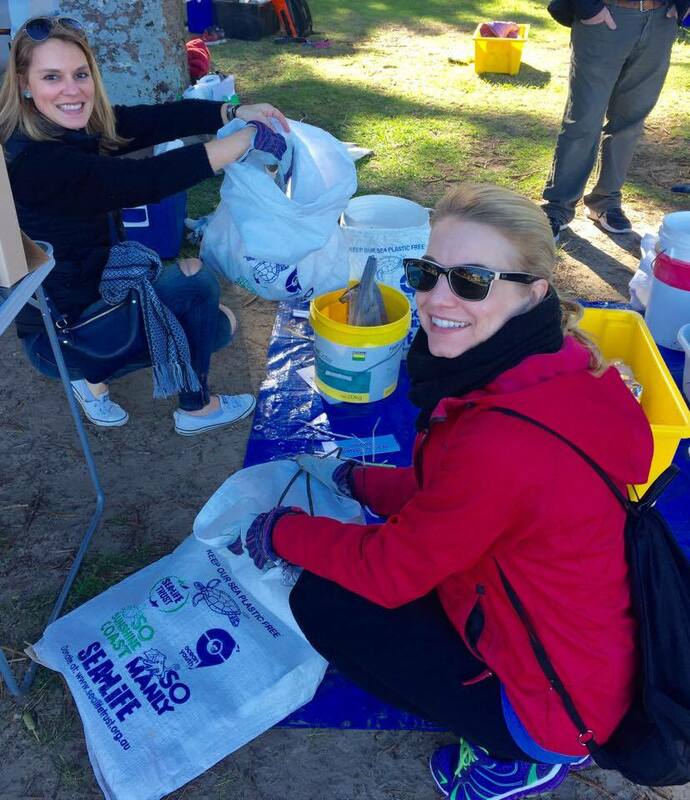 We were joined by our friends Cathy Griffin, EcoBag Media, Surfrider Foundation Manly, Plastic Free Manly, Boomerang Bags and Harris Farm Markets. James said he will investigate what is needed to achieve both statewide and local ban on single-use plastic bags. James is also keen to sign up for Plastic Free July!! 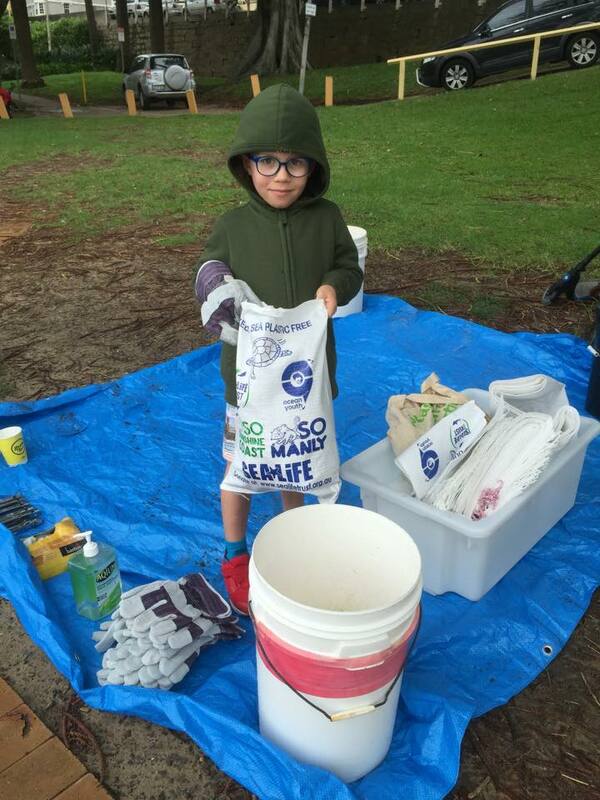 It was very sweet to hear that his sister was commended for her efforts towards reducing plastic bags in the Manly area as a young child in 2005- perhaps he can fulfill her childhood dream to save the ocean from plastic pollution! He could also help Gladys Berejiklian win the race to ban plastic bags first as per the challenge from The Project and #waronwasteAU. Great to meet you today, James! Although EVERY DAY is CLEAN UP DAY, we did something a little bit special this year for Clean Up Australia Day. More Yoga Less Trash combined the bliss of yoga on the beach with the feel-good buzz from cleaning the beach afterwards. It was inspiring to see the crew still enjoying their yoga practice through a slight drizzle of rain and we certainly collected a lot of trash! 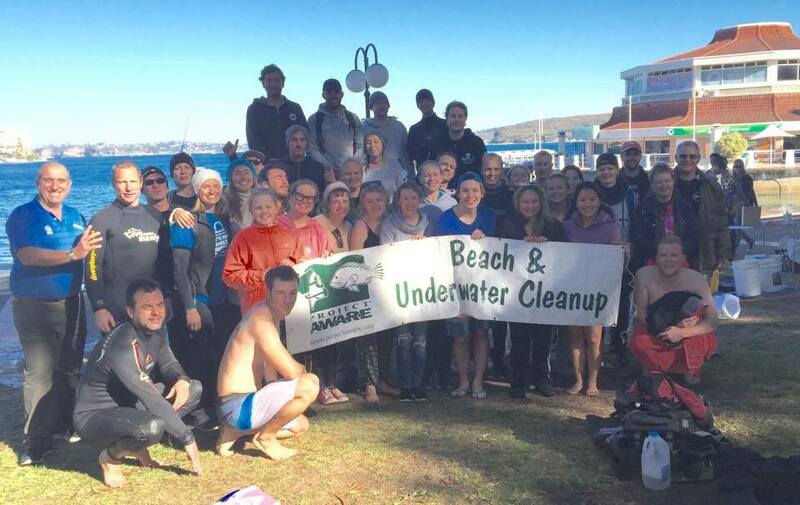 We cleaned up over 2600 cigarette butts, 22 plastic water bottles, 15 aluminium cans, 16 glass bottles (mostly beer), well over 40 kilos of soft plastic (mostly packaging items), 3 dead fish (x2 puffer and x1 leather jacket) and much much more!! The 'catch' of the day would have to be a large broken paddle, which we think could be repaired and put to good use! We were also joined by Senator Richard Di Natale and Clara Williams Roldan - Greens to do their bit for Manly and Clean Up Australia! A huge THANK YOU to Gabriella Woodward and her team at Infinite Yoga who guided everyone through a revitalising yoga class and helped out until the end with the clean up. Infinite Yoga’s studio has unobstructed views of the ocean at Freshwater Beach, and the team has always felt a connection to the environment and they are determined to help build a more sustainable community. 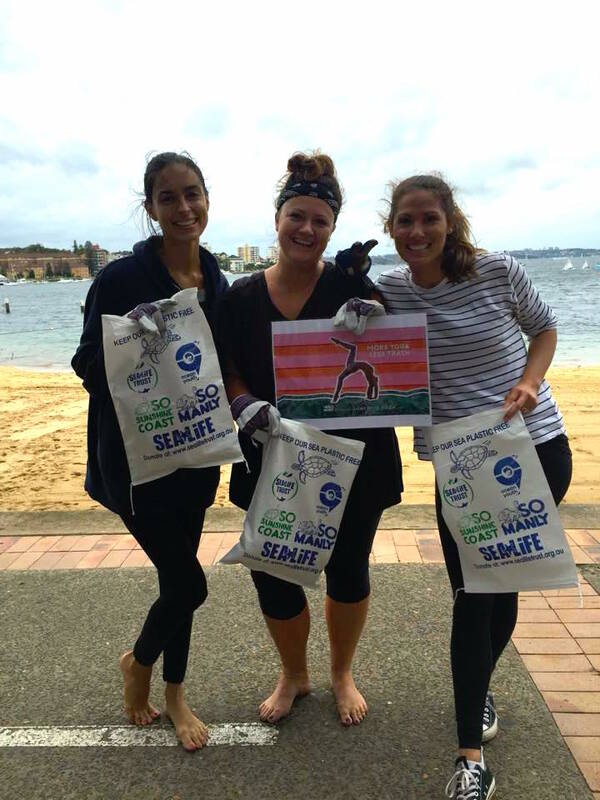 “Clean Up Australia Day is only one day a year, however it’s a great opportunity to raise awareness and challenge people to recognise and change bad habits,” says Gabriella Woodward. 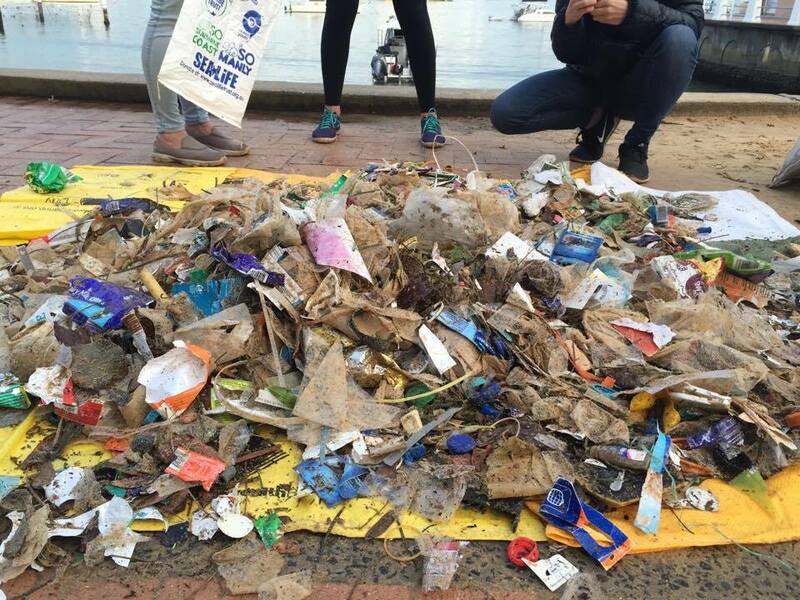 On Sydney beaches alone, single-use plastic makes up almost 90% of waste found. Beach clean-up events can help reduce the negative impact this has on marine life, by minimising the amount of pollution entering the sea. Healthy body, mind and environment are all intrinsically connected. We hope everyone walked away feeling energized after their yoga session and inspired to find alternative solutions and reduce single-use plastic in their every day lives. Whether it's bringing your own re-usable bag, refilling your own water bottle or bringing your own coffee cup... every little helps prevent excess litter entering our aquatic environment! In conjunction with our Celebrations of Sanctuaries campaign for better marine protection, we had a chat with the 2016 winner of the Valerie Taylor Art Award, April Greer. Inspired by the big blue, we had some very talented artists submit their incredible work, however the panel felt April’s beautiful design was well worthy of the inaugural title. April will be flying from the Sunshine Coast, Queensland to Sydney, to create her inspiring ocean artwork in Market Lane, Manly on 28 January 2017. As an artist and environmental student, you have mentioned before that the inspiration for your art comes from nature. Has this always been the case and from when? I grew up in the Noosa hinterland and spent most of my early years down at creeks banks, spending hours exploring my surroundings and patiently watching wildlife such as platypus, snakes and birds in their natural habitats, I was instantly drawn to them and think this is where my passion for nature and the environment begun, it sparked a passion to want to learn more and protect and preserve our precious environment. I love painting and combining my two passions for both painting and the environment is a true dream. What is your preferred choice of paint medium and why? I use a range of mediums, but my favourite would be acrylics, I like their versatility and brightness. Could you take us through your creative process from start to finish? I guess every piece starts from a moment, a feeling, which sparks an idea for a new painting to be created, sometimes that feeling comes from exploring tropical rainforests or snorkeling reefs or simply being in nature or sometimes even watching David Attenborough documentaries! My art always comes from a moment where I am inspired by something, filled with passion and eager to get it on canvas! What are some environmental issues most concerning to you? My biggest concerns would have to be climate change and pollution. Especially ocean plastic pollution and its effects on those creatures such as sea turtles and sea birds which accidentally ingest it. Do you have a favorite ocean critter or landscape that you love to create? Oh there are so many favourites! But, sharks are probably my number one favourite animals to paint, I am just fascinated by them. If you could give the average person some environmental tips, what would it be? I would suggest starting with simple things such bringing your own reusable coffee cups instead of using single use coffee cups, or buying in bulk to reduce packaging, using eco bags when shopping, learning about recycling and maybe start a veggie/herbgarden... Even picking up a few pieces of rubbish off the beach on your morning walk will make a positive difference. I think we can all get caught up in the fast lane and it can be really hard to be mindful of our environment, but every little bit counts. As the winner of our inaugural Valerie Taylor Art Award, what piece of advice would you give to aspiring artists? I would tell them to always follow their passion and inspiration, and just give it a go!